As a child, school holidays were what we day dreamt off while sitting in class. However as a parent it’s a little more stressful and not as dreamy. As working parents your checklist widens. Thinking about keeping the kids entertained, fed and safe all in one breath. If possible try to take leave for few days so you get to spend time with your kids while they are on holiday, as this is such a busy period and almost all parents would want to take leave, make sure you apply for your leave slightly earlier so you get it approved rather than doing it last minute and being disappointed by the refusal. The most important thing for the parents who have their leave during the school holidays is to be present. Don’t take the leave and allow your kids to be involved in parentless activities. Whether its baking, watering the garden, going to the grocery store, involve your kids in these tasks. This way you get to kill two birds with one stone. You get to spend quality time with your child/children and you get to complete a task/chore at home. 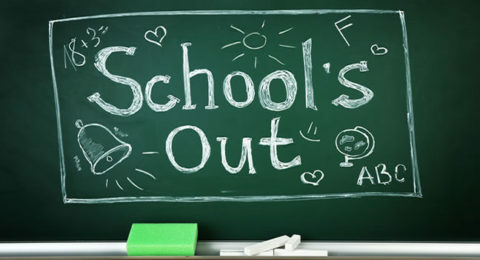 Millions of children across South Africa are getting ready to start their July School Holidays. Whether you are taking a trip or staying home with the kids, we suggest you plan a few fun days out. Plan a trip to the local Zoo or for the younger kiddies to a Flag Farm, this is a fun family day out. It’s a road trip (most zoo’s/flag farms require a drive) so you can pack snacks or a picnic basket. Having the little ones feed the farm animals gives them such joy. Maybe stop on your way to or from for a meal. This is for the older kids, this may not seem like it would be fun however this gets them to learn about responsibility as well as the end result being they now have some well earned money to spend on themselves. On the upside, this can be used as work experience on their Cv’s which will assist them in finding a permanent job later on in life. From Muizenburg Water Slides, Water World and Milnerton Waterpark, to name a few, get out there and have some fun on the water. If you live in the Gauteng region, check out Wild Waters in Boksburg, Gold Reef City, Ellis Park Swimming Pool, Linden swimming pool and in Kwa-Zulu Natal there is Ushaka and Wild Cost Sun waterparks. If being outdoors isn’t for you then take the kids, with their friends to watch a movie. This is a safe controlled environment with fewer factors to consider. The younger ones can enjoy a good animation as most cinemas have more than one during the holiday period. For the older kids, it’s an opportunity for them to see their buddies from school during the school holidays. Take the kids to the park or let the older ones go off on their own with their friends, it’s a great way to connect with nature, get in some fresh air and to feel like a kid again yourself. Swings, slides, fresh air and snacks. Eat, play and be merry as a family. So this isn’t restricted to coastal cities as we know sun city has the full beach experience at the valley of the waves. This is one of the most cost-effective and fun day out, that coupled with ice-cream and you’re good to go. Hopefully these simple ideas assist you in making your child’s school holidays a little more fun and a lot less stressful for you.